Borrowers with at least 40% equity in their homes or bigger purchase deposits can take advantage of the latest best buy mortgages from Yorkshire Building Society. The Yorkshire has introduced a new two year fixed rate mortgage up to 60% LTV at 1.99%, with an offset equivalent at 2.19%. Each product is fixed until 31 March 2015 and has a £995 fee. 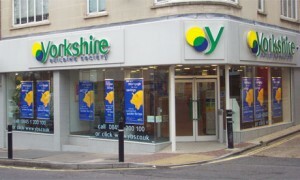 “The Yorkshire is known for its great deals for first time buyers but as a mutual our aim is to support all types of home buyers and homeowners,” said Yorkshire Building Society Product Manager Richard Barker. “We’re pleased to be able to offer such competitive rates to purchasers with a larger deposit or homeowners looking to save money by remortgaging.